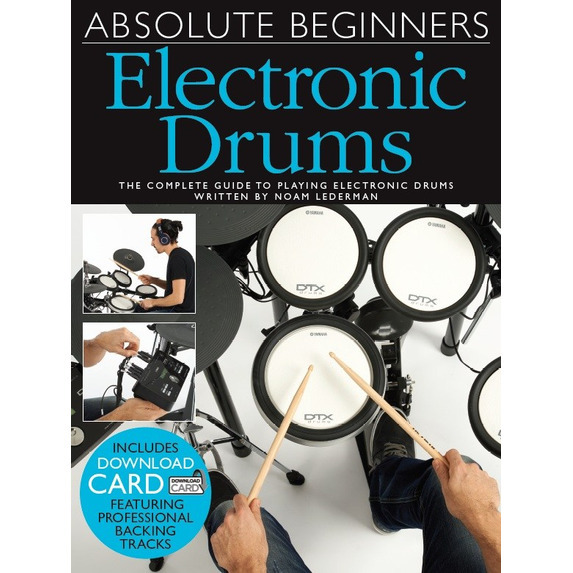 Absolute Beginners: Electronic Drums is a comprehensive introduction to playing the Electronic Drums, from the history of the instrument to playing your very first grooves and beats. 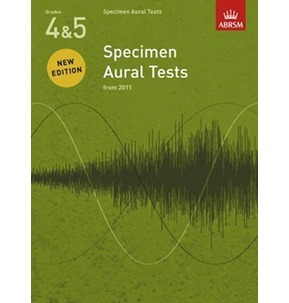 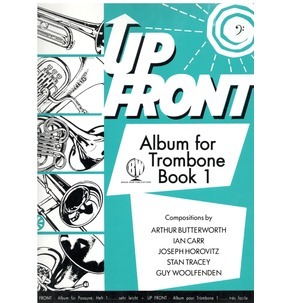 Covering a variety of genres with clear pictures, practical advice and easy-to-use audio downloads, this is the essential introductory book for anyone wanting to learn this fantastic instrument. 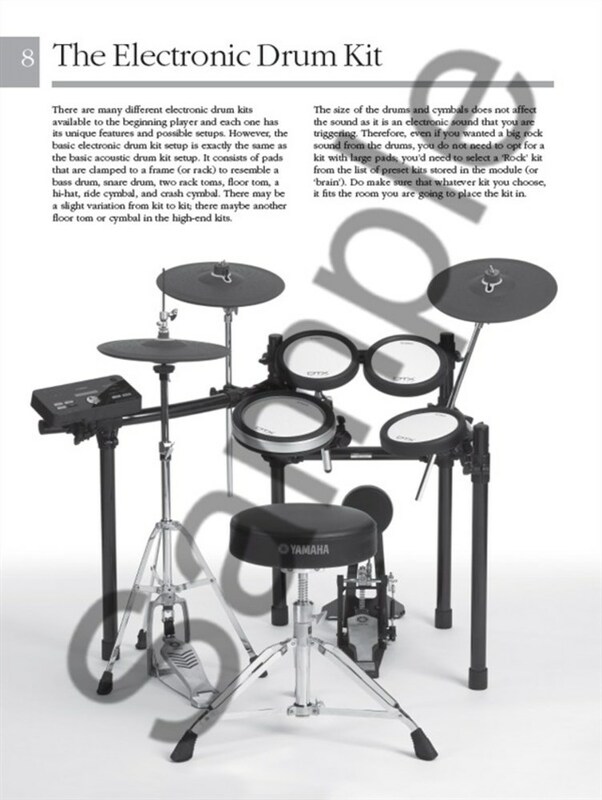 The content of Absolute Beginners: Electronic Drums is uniquely focused on Electronic instead of Acoustic Drums, allowing you to take advantage of the increasing popularity and versatility of this innovative instrument. 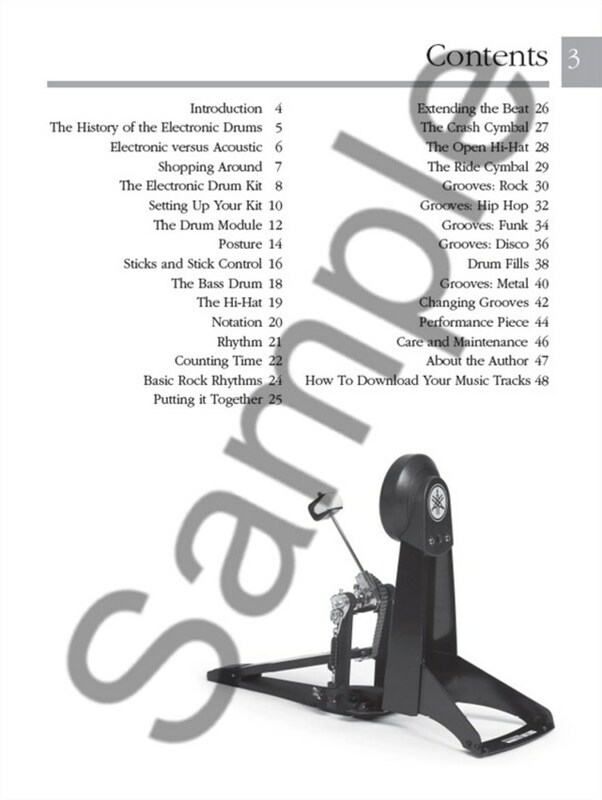 The book takes you through the history of the drums, through its many advantages to setting up your kit. 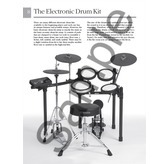 Then you'll learn basic things like posture and how to hold the sticks, before getting into basic rhythms, extending the beat using the different parts of the kit and real grooves in a number of styles (Rock, Hip Hop, Funk and Disco). 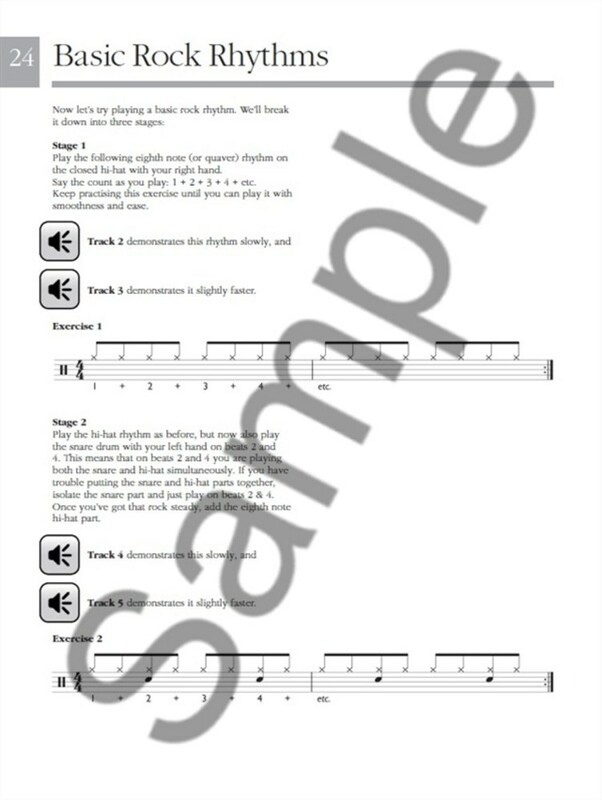 The accompanying Audio Download is accessible through the card that's included in the book, and it includes over 60 audio tracks that feature demonstrations and backing tracks of each of the exercises that are in the book. 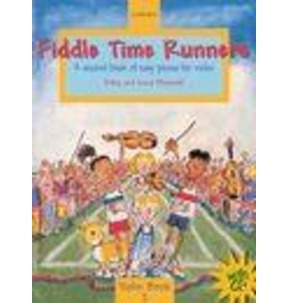 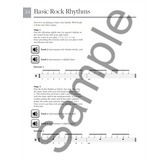 This makes learning much easier, more fun and will get you playing along with music as quickly as possible. 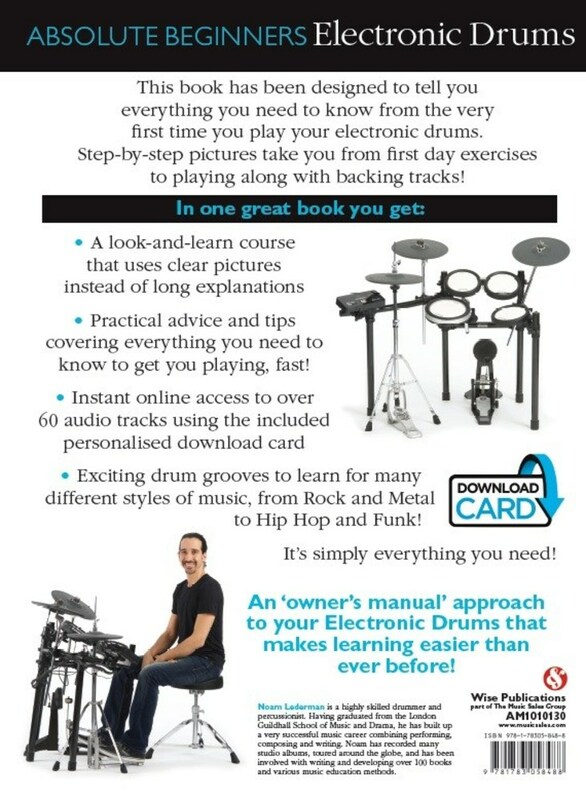 From the very first time you play your Electronic Drums, Absolute Beginners will guide you through step-by-step with large images, clear explanations and very helpful hints that will get you playing and sounding great in no time at all. 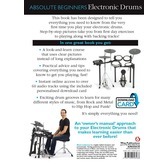 The Electronic Drums have an ever-increasing presence in all genres of music, and this Absolute Beginners book lets you take advantage of this and learn how to play them from the very beginning. 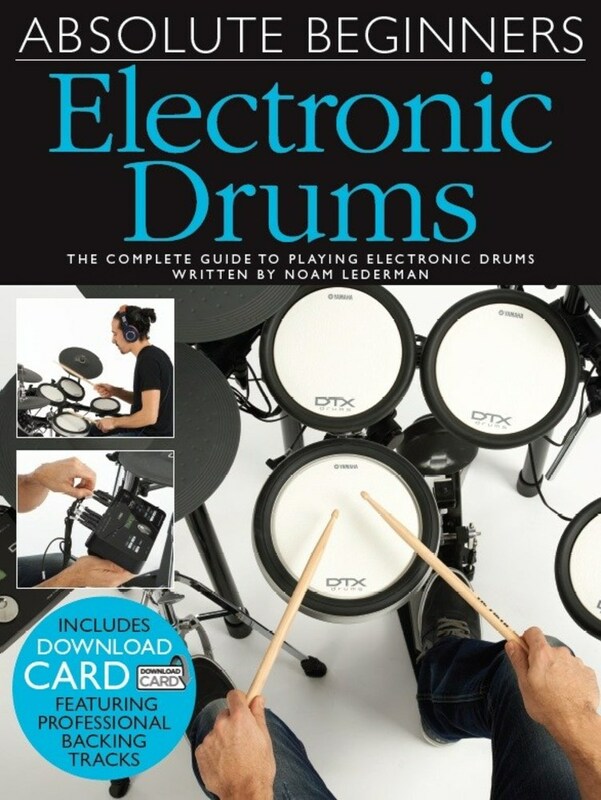 Perfect for players of all tastes, this book demonstrates why the Electronic Drums are so adaptable to modern playing and also makes learning them as easy and clear as possible.